You are here: Home » Digital life » Where do you get your books? I haven’t analysed how much money I spend proportionally on hardcover, paperback, audio or ebooks each year but know it is not as predicted several years back. The truth is, I spend almost as much money on traditionally bound books as the other two combined rather than my expenditure slowing to a trickle, as expected. It seemed reasonably logical that ebooks would more than just dominate the market but virtually eliminate bricks and mortar competition. The rise and rise of Amazon and a host of new e-readers seemed to suggest this would be the case. It was and is easy to install a free app and read on a tablet or phone. More and more younger people are listening to audiobooks in their cars and via their devices. Angus and Robertson was one of the casualties that apparently provided evidence that this seismic move away from printed books was inevitable. This has just not happened to the extent predicted or in the same way it has for music. Although it is clear that the market is not what it used to be (although I spend more than ever). The music industry has been radically transformed in the last decade and “record stores” have all but disappeared. Books are different it seems. They cannot be streamed and three minutes later a new one appear on your device and through one’s earphones. It is easy to pirate music but the advent of inexpensive streaming services has greatly reduced costs and most would hardly find it worth doing. It is also easy to pirate audio or ebooks but one suspects that many of the potential audience does not have the stomach for this or lacks the technical skills. Maybe they just have enough money to not make it worth it. Books are still expensive. The rise of audio and ebooks have not reduced the prices of printed copies significantly but we still keep buying them. Nor have the prices for any kind of book been reduced due to competition from illegal downloading. 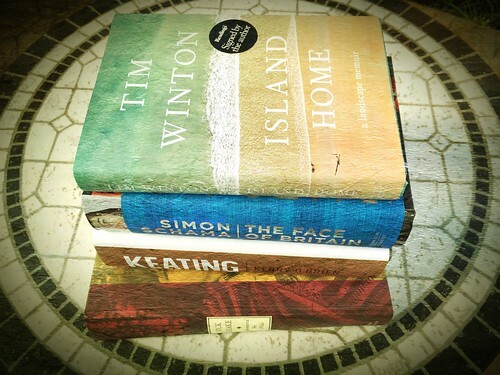 Last month I purchased hardbacks by Tim Winton and Simon Schama, as well as the new one by Kerry O’Brien about Keating. Two of these are signed. I regularly buy all kinds of printed treasures and mementoes to sit on the shelf and to take into the backyard where I sit and read with green tea. In the last week I have spend over $200 on books ordered for my children, including Christmas and other rewards for jobs well done but have not walked into a bookstore since being in London last month. I suspect the reason so many traditionally bound books enter our home is Booko.com.au! 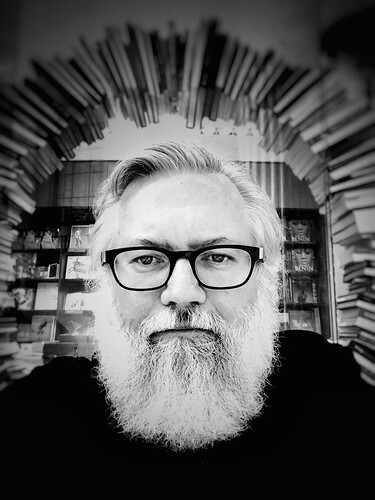 I love that it is so easy to type in a title and get the prices, including delivery, for just about every conceivable option an Australian reader has to get a book delivered to the door – often very quickly. Often, hard to get titles are found secondhand. Booko is great for gifts too. Recently I ordered a book that I knew my Dad would love and within minutes of buying the email came saying it was winging its way to his mailbox. Our children (through my largesse) support the local bookshop reasonably well but I only buy a few books a year. They like to browse and go home with a glittering prize. The bookshop is around the corner from the library so if we have no luck borrowing I often weaken and let them buy books (and knowing it is essential we have a local bookstore am happy to do it). Kiama is a great place to live but I do miss being in Sydney or London where one has such a large number of disparate bookshops to browse. I certainly give Amazon far too much money (and was very unhappy with them last year but that has been sorted out). 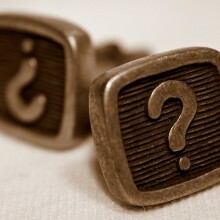 I suspect that the sample chapters, tweet quotes or post on Facebook from the app, plus the ability to clip highlights that are then easily accessible are important functions for a social reader but the habit of instant book gratification, when I read a review or come across a new title, is a reason why I stick with them. I really like Audible (Australian link) who are part of the Amazon web too. Kiama library saves me from going completely broke. These suggestions will assist if are really interested in analysing the national data about book sales. What have you noticed about your spending patterns on all book formats? I will be in New York next April-May and am making a list of destinations. What bookshops would you recommend? I agree with you Darcy, ebooks have expanded my book purchases rather than coming at the cost of the physical books. I do buy a lot from on line retailers because of the price and in my local area (Southern Sydney) there is now only ONE bookstore. Working in the inner west however gives me access to many great bookshops, alas they are comparatively very expensive. Being addicted to horror fiction I support a couple of smaller independent companies (U.S based) and this gives a wonderful stream of inventive and original fiction to consume. My big problem with the local industry (not I hasten to add with the retailers) is the complete failure to provide the option of hardbacks on many big name titles. To which I will always ask why??? 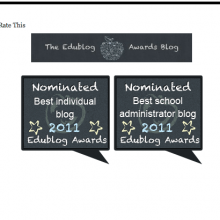 Love the blog, keep up the good work!!! I buy books from either Berkelouw, Dymocks or online through Booktopia. I haven’t read an eBook in ages. I like buying YA – it’s cheaper by at least $10, which makes me happy for my purse but sad for YA authors who (for no apparent reason) earn less. All of my book purchases are the traditional paper and bound type with half purchased from the book depository.com. Amazingly, the other half come from the most amazing source – the Salvos. In my little neck of the woods we have an AMAZING second hand book store that is the size of Aldi. Their volunteers catalogue according to genre and then down to junior fiction to young adult, etc. There selection is broad and they regularly have current titles which is where I save considerable money as each book is $1! Admittedly, I go there once a week which may account for how I am lucky in purchasing current titles. They also have row upon row of all the current HSC prescriptions and study guides owing to the gazillion private schools in Sydney’s Upper North Shore where year in/year out the kids offload their ‘new’ books after the HSC. Student books are .50c! I am in the happy position of working in a school library with a generous budget. I can buy so many wonderful books and then I can read them! I have bought a few Kindle books and other ebooks for myself mainly either for travel or to show a part of the text on my iwb. Recently I offered a student my Kindle (it only has children’s books and travel books on it) because she had enjoyed Mousenet and was keen to read the sequel. I had not purchased the paper book but I had the sequel on my Kindle. She was horrified. No way! She wanted the ‘real book’. I mostly buy Fiction for the school library online from Boomerang books or Pegi Williams but I find with Non Fiction for the Primary school I really need to see the books to gauge the levels, appeal, access etc. I find Kinokuniya have an amazing Non Fiction selection for Children and so I happily spend hours there sitting on the floor perusing these books. For gifts I BUY books – whenever anyone has a new baby I always give books with the message from Rosemary Wells “Read to your bunny and one day your bunny will read to you!”. One more thought. I know my book access will change enormously when I retire. I am already considering my options. Yes the public library is nearby but I am not convinced they will be able to supply all my needs. 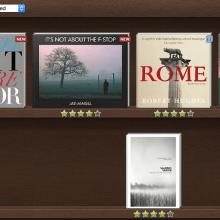 I buy ebooks for my Kindle, used mainly when off travelling somewhere. Most of my physical books are bought through Book Depository. Sometimes my choice between ebook or print book is based on the cost of each balanced with the likelihood of someone else in my family wanting to read the same book. An unexpected day in Goondiwindi this year revealed a wonderful little secondhand bookshop where I purchased four books. A book sale in Byron Bay library turned up a signed copy of First Lady by Kay Cottee for the princely sum of $1. My local library has moved and no longer as handy so I borrow less from there. Target or KMart sometimes have good books on offer for good prices. Occasionally I’ll buy a book at an airport. Visiting and buying in bookshops – I really think I do way less of that than I did ten years ago. Why wouldn’t you buy second-hand books? Go to any charity store (e.g. Vinnies) and you can pick up excellent, close to new quality books for less than a fiver each. On the 5th of December 2015 they have fiction titles for $2 each in Linfield. Beat that Booko! Thanks for taking the time to comment folks! @Bianca I need to read more adolescent fiction. For many years I read widely in this genre as an English teacher but lately have not kept up in the way I’d like. We should support YA authors! I buy my books cheap from Basment Books next to Central Station and from a local Vinnies. They are not always in perfect condition nor are they the newest releases however I enjoy digging for hidden gems and bargains.